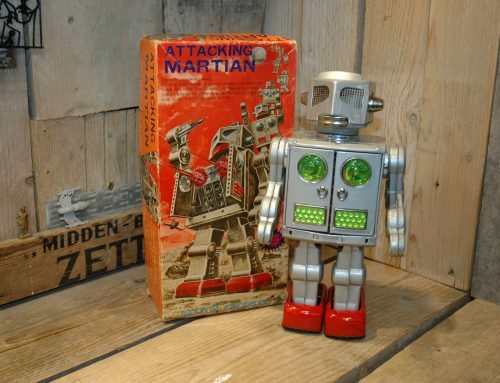 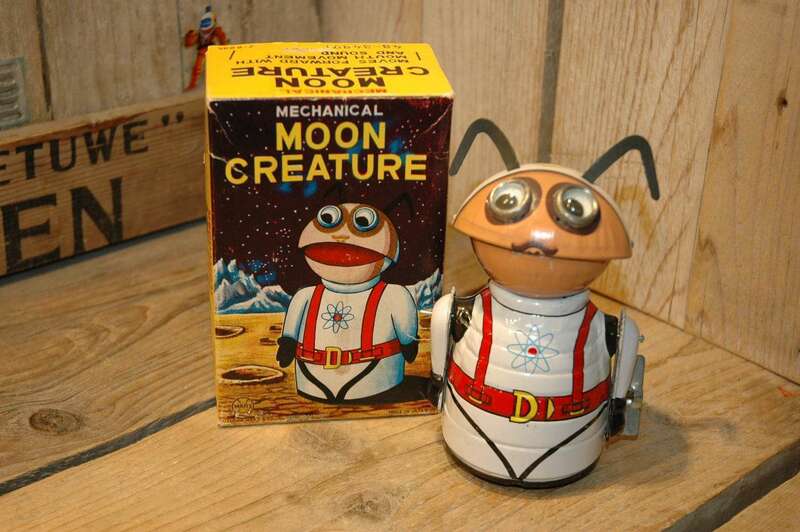 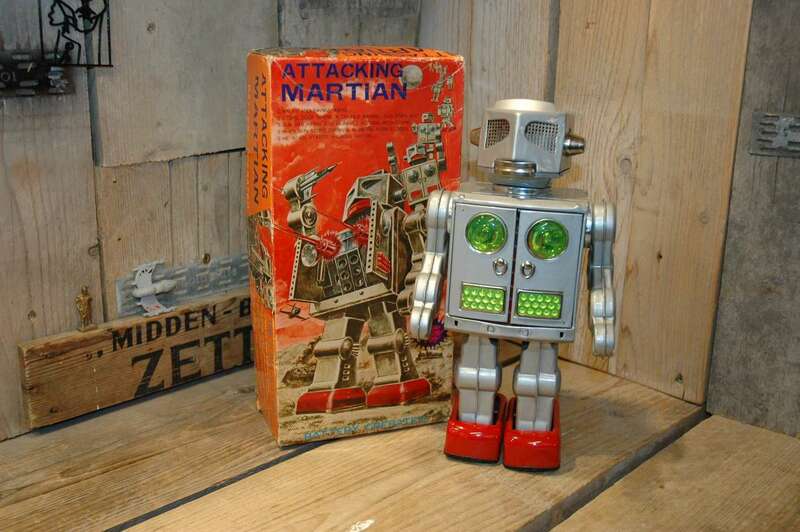 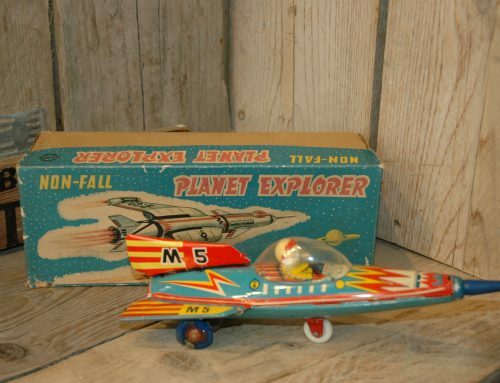 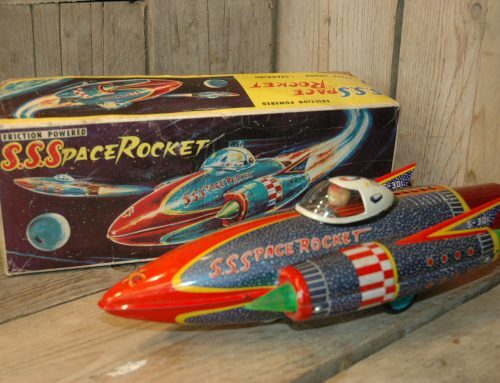 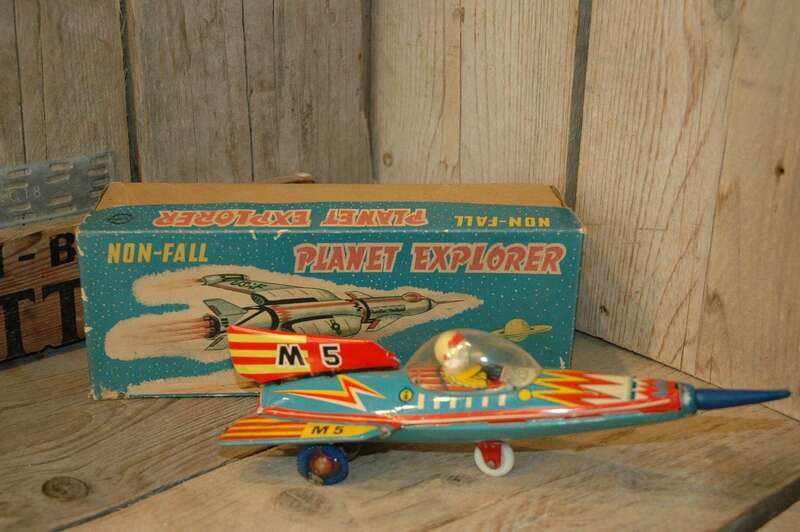 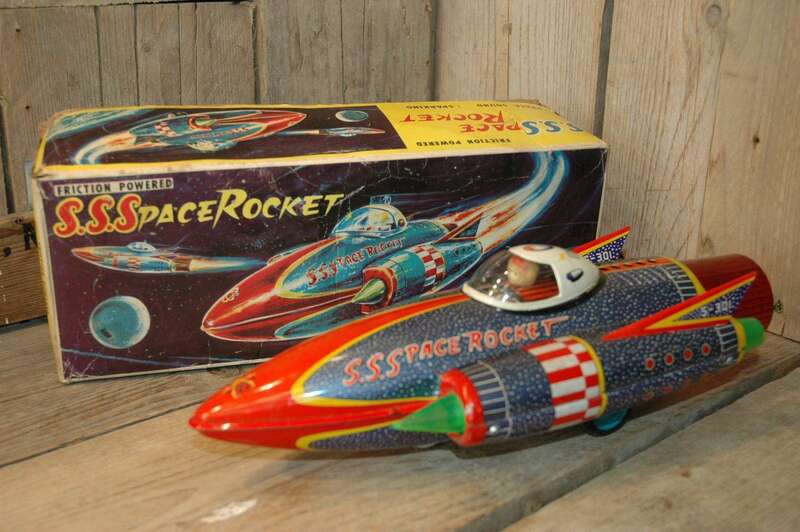 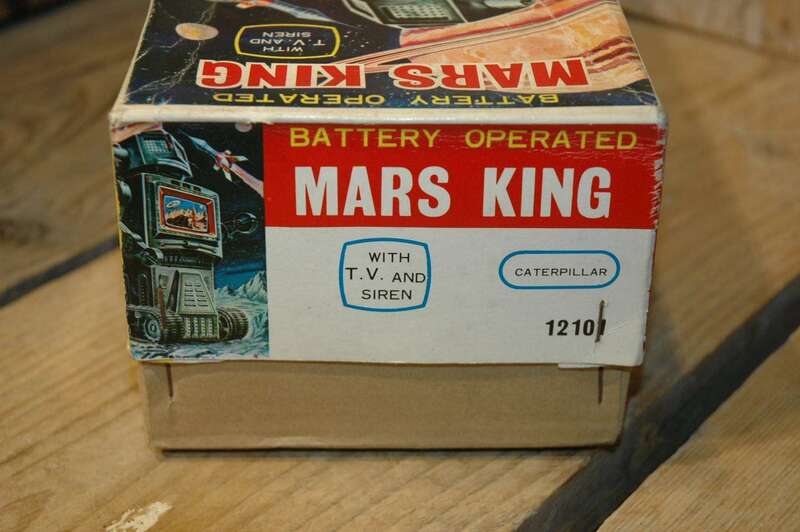 This socalled catapiller Robot Mars King was made in Japan in the early sixties. 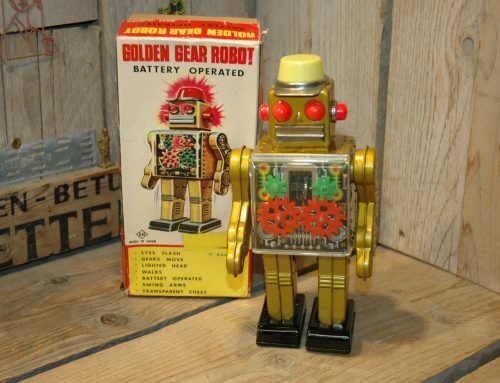 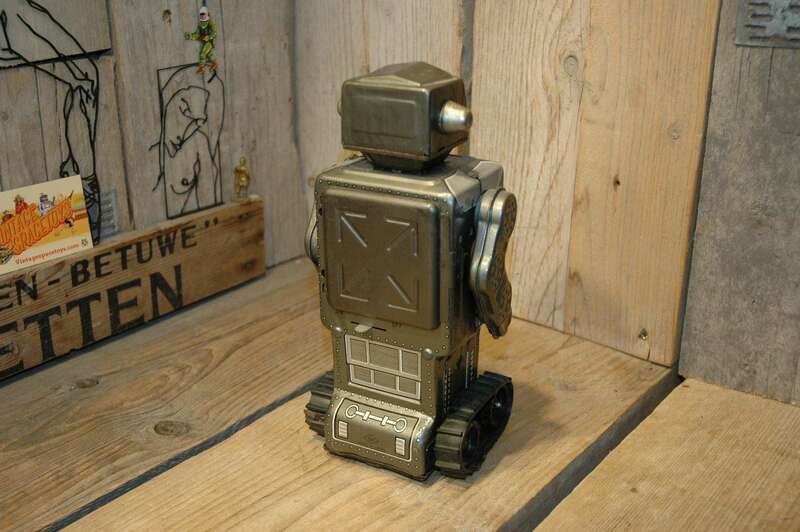 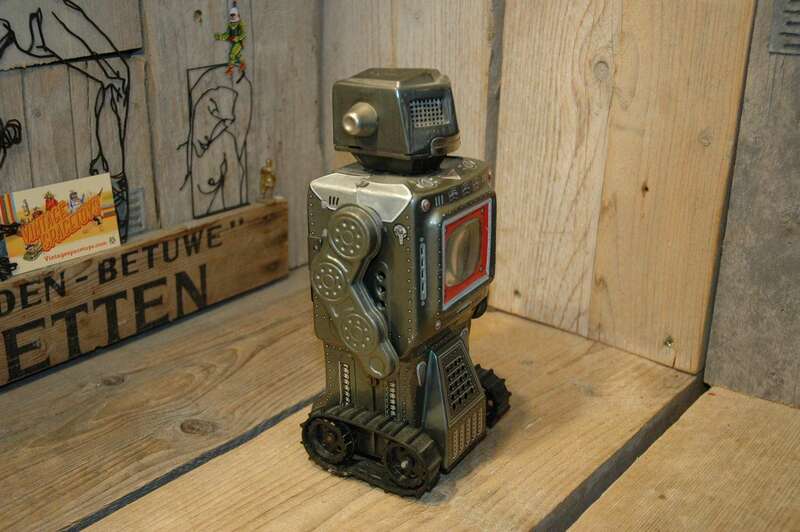 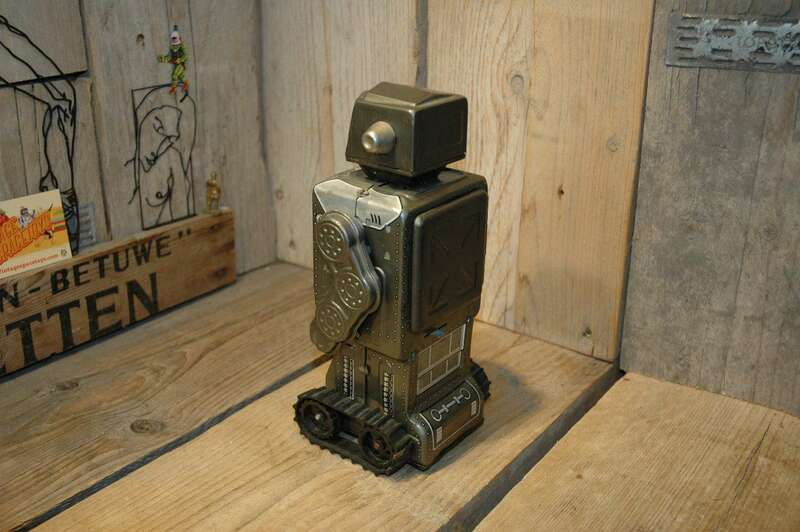 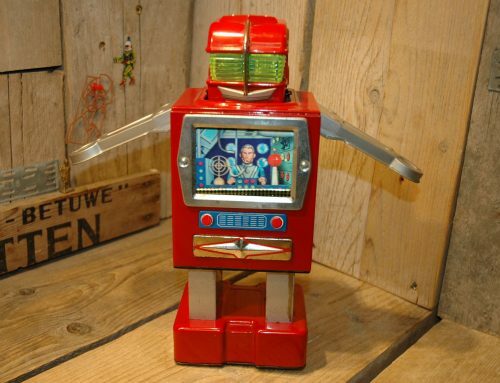 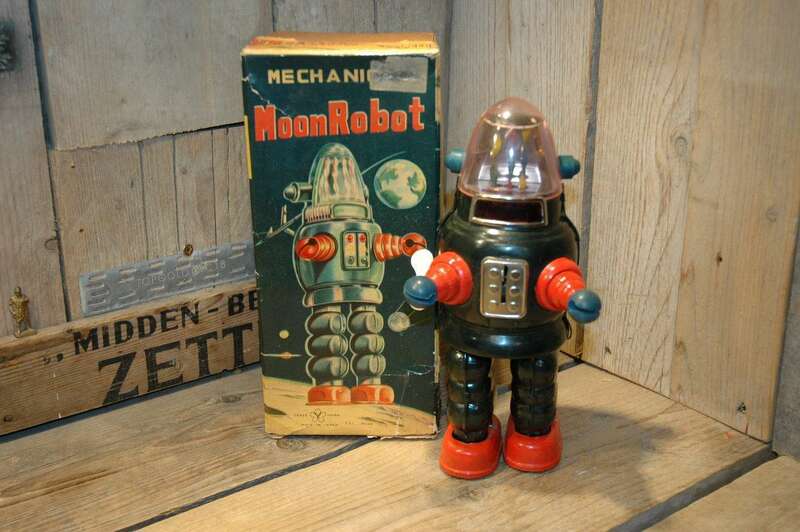 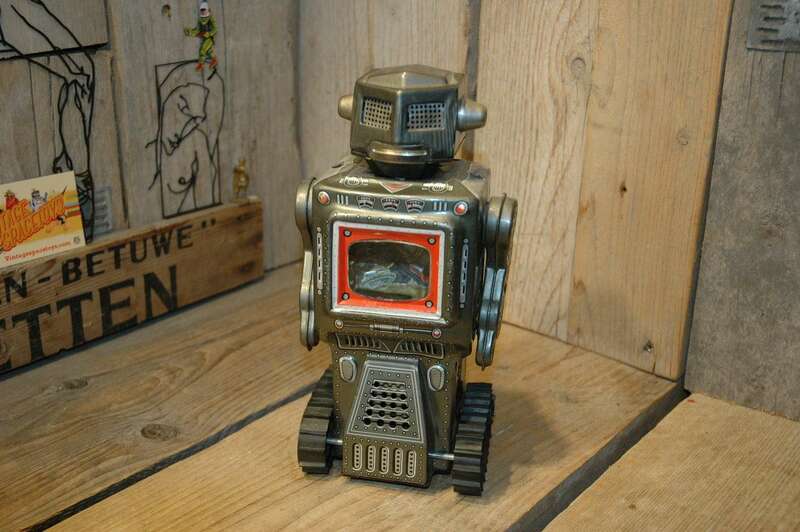 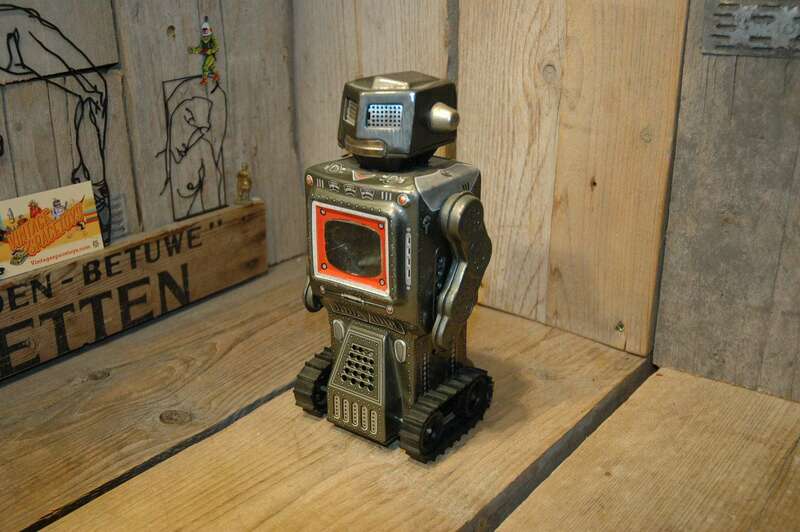 This rare and hard to find robot is made out of tin and battery operated. 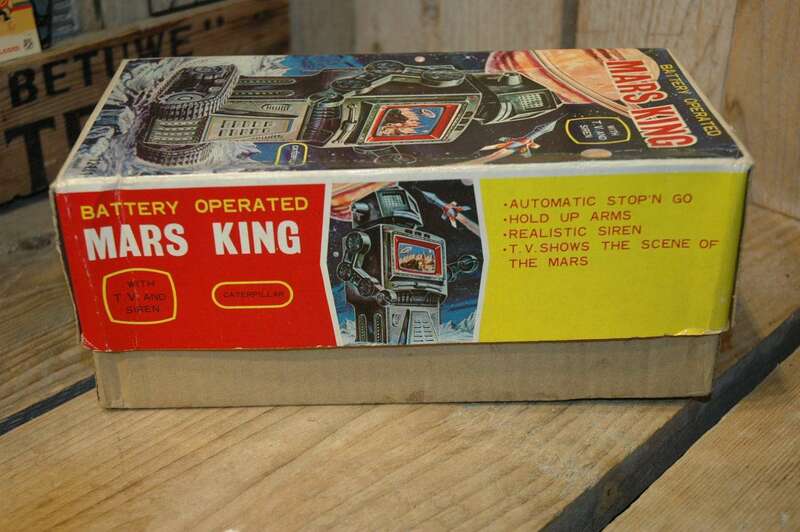 In action the robot rolls forward with blinking tv screen. 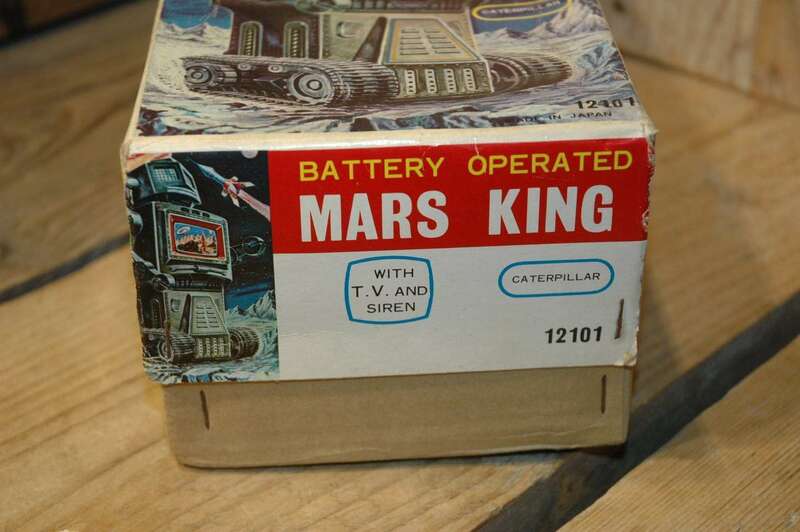 than he stops, raises his arms and produces a loud siren sound. 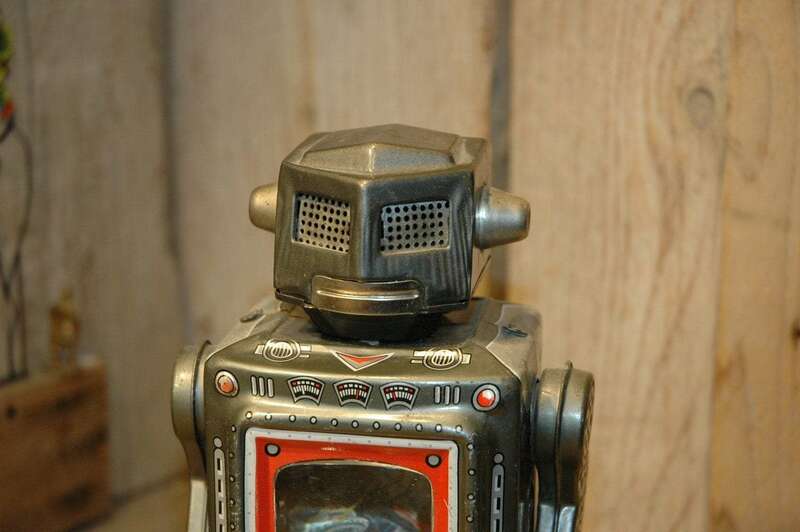 A very attractive robot to see in action. 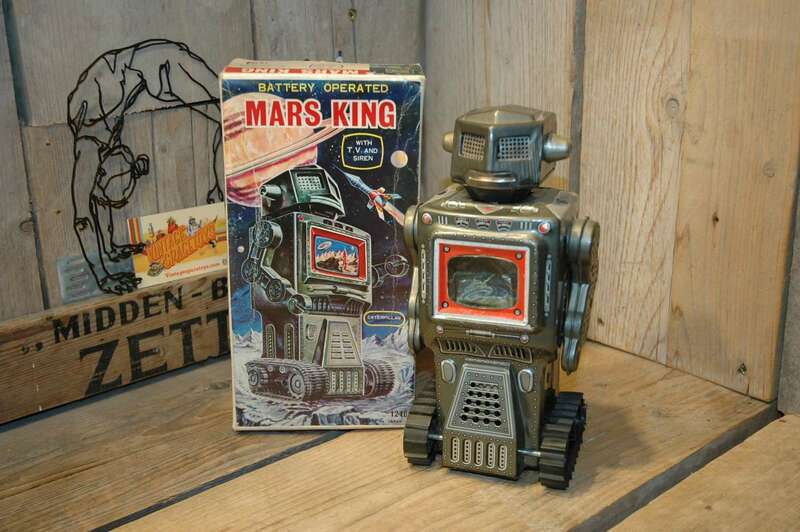 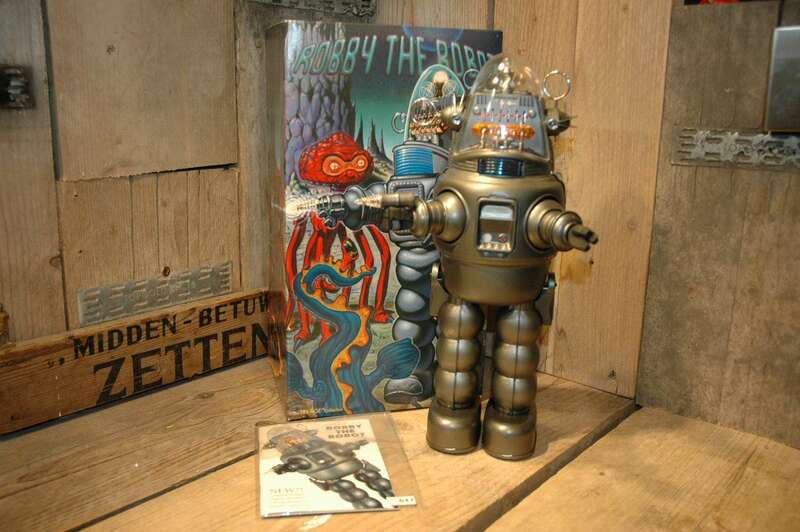 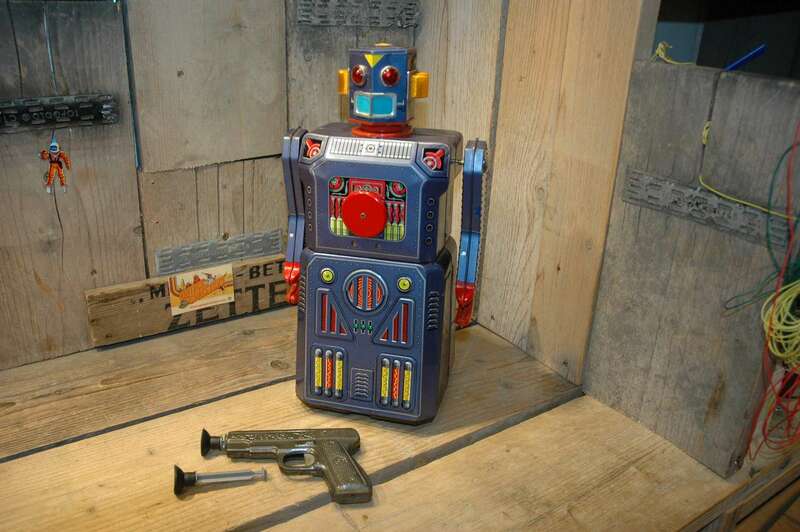 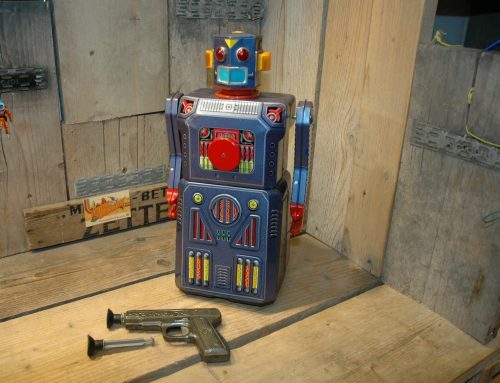 I found this robot in italy ( of course ) by a good friend who sent me robots and spactoys from time to time. 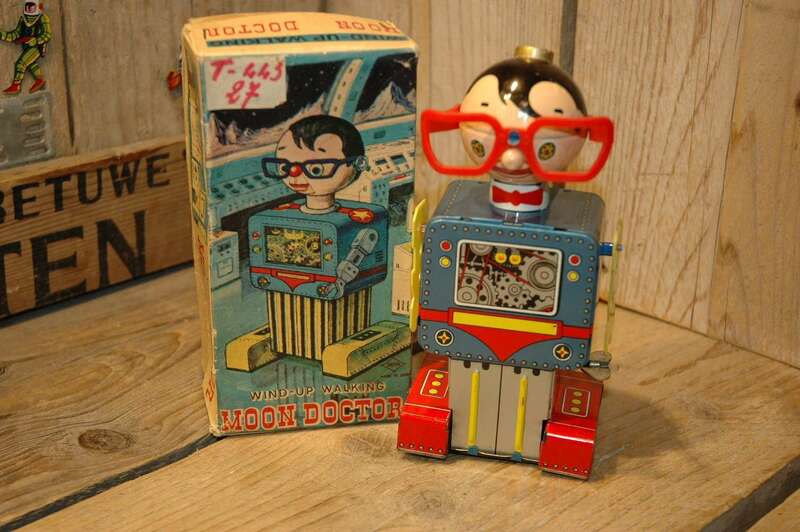 The condition of the robot is excellent. 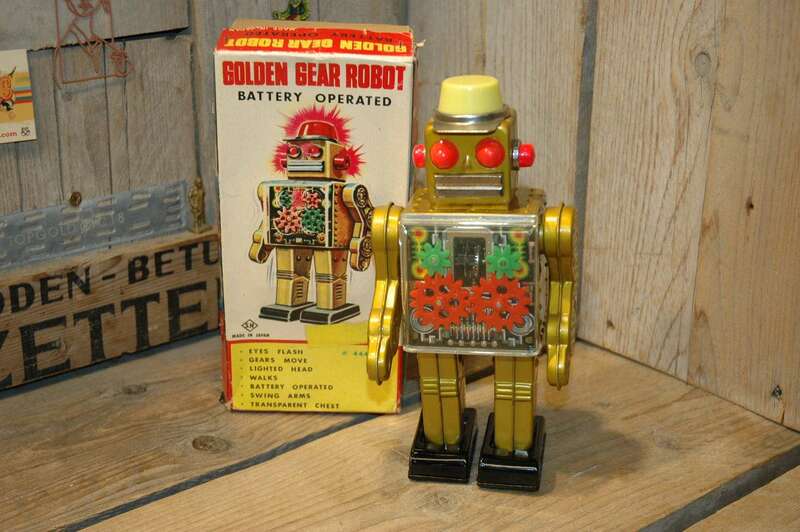 There is normal play wear but overall the robot is in a very nice, original and complete condition. 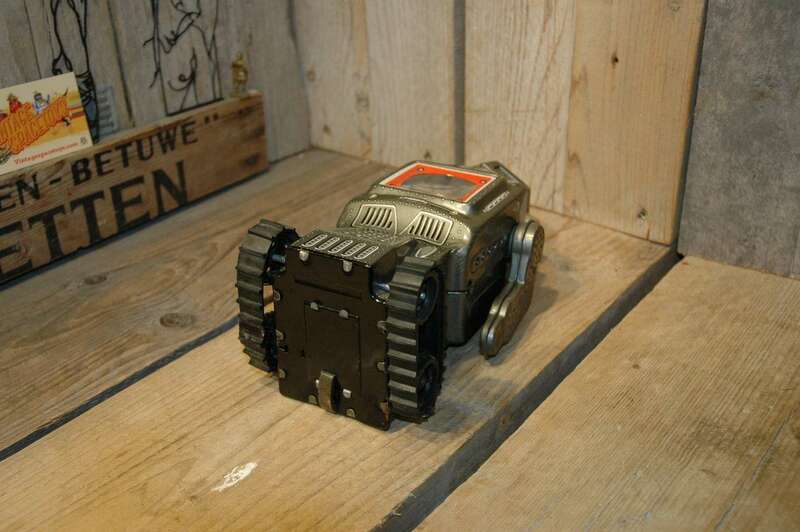 The tracks are original and the robot works fine and strong. 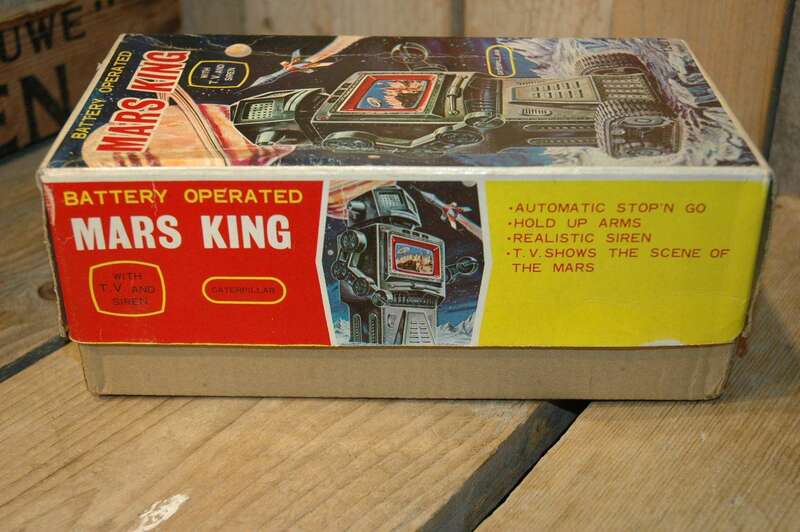 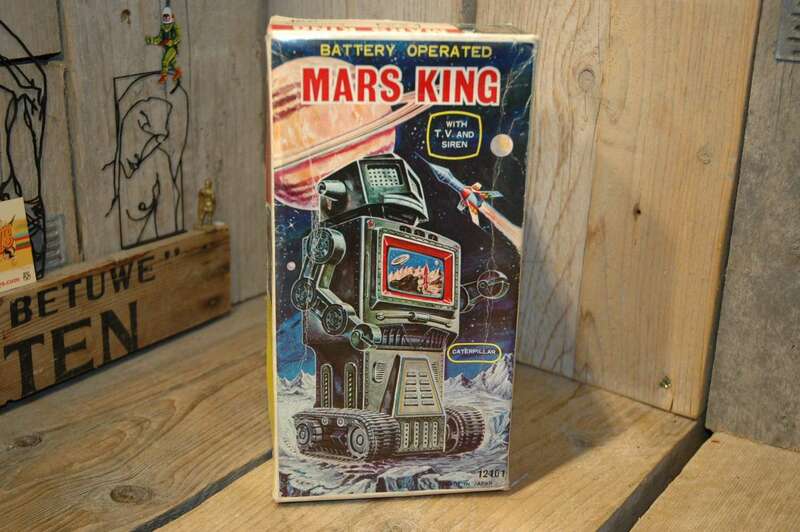 Mars King is accompanied by its original box in excellent to near mint condition. 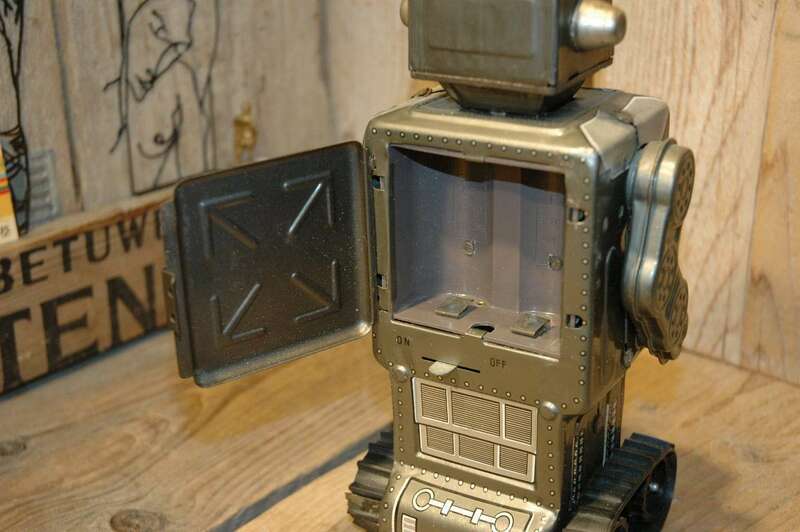 One of the best boxes for this robot I have seen in years ! 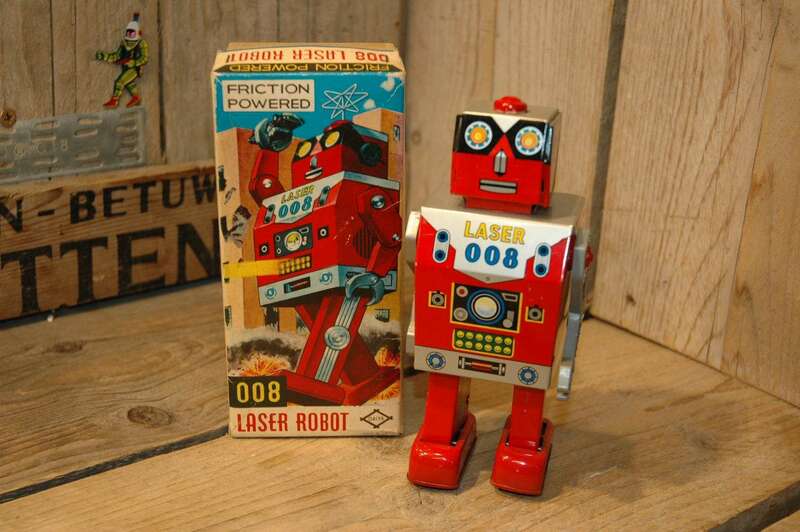 hard to find combination of perfect robot and close to perfect box.